Ridesharing services like Uber and Lyft are on the rise. Personal travel is easier than ever, and thousands of people have a new income stream from these services. At the same time, the rise of these convenient services also elevates the amount of ridesharing service employees and customers involved in Uber accidents or collisions. 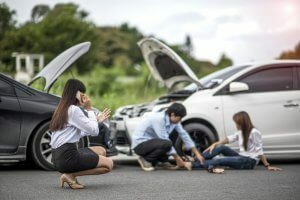 When collisions result in injuries, many people are not entirely informed about the compensation they are entitled to as a result of the accident. This leads to many people failing to get proper compensation when dealing with ridesharing companies and their insurance providers. At Silver & Silver, we aim to serve your needs and make sure you are well informed about your legal options after being involved in an Uber accident. Valued at billions of dollars, Uber is a major company with a track record of business success. What many people do not know, is that Uber insures their drivers for $1 million in liability and also for uninsured or underinsured motorist coverage. Most drivers do not have more than $15,000 in insurance coverage. The extensive insurance that Uber gives their drivers means that people injured in an Uber accident can gain significant compensation. This includes medical bills, pain, suffering, trauma, as well as lost income. This is if they are not at fault for the accident. Under What Circumstances Can I Obtain Compensation from an Uber Accident Injury? A driver or passenger is injured in an accident where an Uber driver is at fault. When an Uber driver is injured, and another motorist is at fault. When a passenger is injured in an Uber vehicle, regardless of whose fault it is. How Can an Uber Accident Lawyer Help Me? If you are in an Uber accident, there are several ways an Uber Accident Lawyer can help you. First, an Uber Accident Lawyer has the expertise to deal with the legal aspects of your case. Second, we will properly and fairly represent you. Third, we can deal with insurance companies while you get the medical care and attention you deserve. 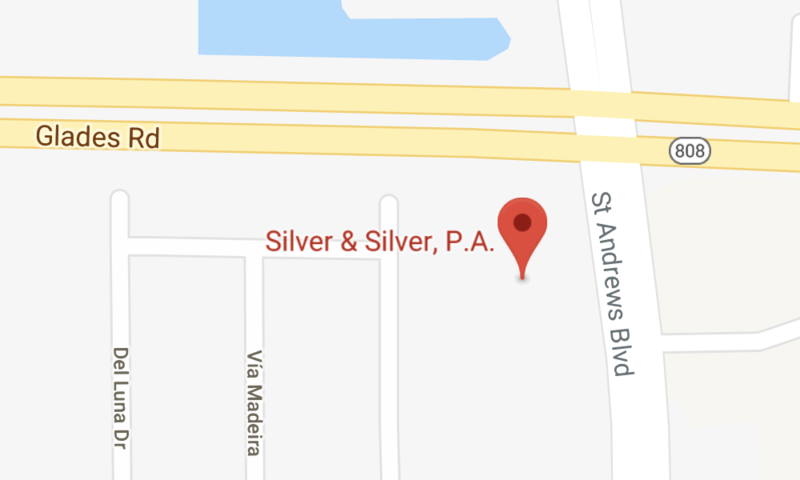 Finally, at Silver & Silver, we have over 20 years of experience as Personal Injury Attorneys. This gives you peace of mind that you are in the hands of experienced and skilled experts who get results. We have a track record of serving citizens in Boca Raton, Boynton Beach, and throughout South Florida for decades. We deliver an unmatched level of care, expertise, and legal skill. And we consistently use these to help you stand up for your rights and reach your goals. If you sustain an injury in an Uber Accident, call Silver & Silver today for a free initial consultation at 561-279-3911.